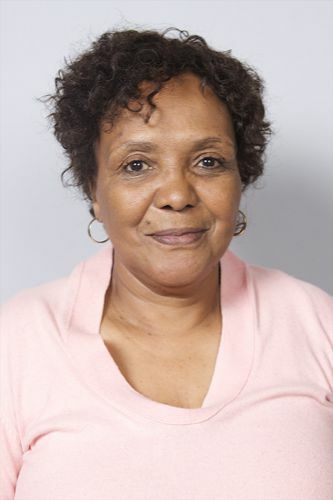 Ms M Dunjwa (ANC) was elected unopposed as the chairperson of the Committee. The Committee Secretary informed Members about the duties of Chairpersons, as detailed in National Assembly Rule 129. After the introduction of the Members and a few words by the Chairperson the meeting was adjourned. Ms Vuyokazi Majalamba, Committee Secretary, opened the meeting by calling for a nomination for the position of Chairperson, saying that if one nominee was put forward and there were no objections there would be no need for a vote and this person would be elected as chairperson. Mr A Mahlalela (ANC) nominated Ms M Dunjwa (ANC) and this was seconded by Ms RN Capa (ANC). In the absence of any further nominations Ms Dunjwa was elected as Chairperson. The Committee Secretary then went on to read the duties and functions of committee chairpersons as contained in National Assembly Rule 129. The major themes were that the Chairperson would preside over meetings of the Committee; act in the best interest of the Committee, when it was not possible to hold a meeting, in order ensure the effective functioning of the Committee; to exercise all powers assigned by the Committee, legislation or the Rules; and to act as a swing vote in the event of an even vote by the Committee. She then congratulated the Chairperson on her election. The Chairperson then asked the members to introduce themselves, which all present members did giving their name and a brief background. The Chairperson stated that the nature of the Committee's work was sensitive and emotive and therefore wanted the Members to be at ease with each other. She then said that a parliamentary Committee's work concerned rules, and in that regard the Committee would have to function in accordance with these rules and in accordance with the constrained schedule the Committee would be provided within the next couple of days. She also felt it was important to introduce the Committee whip Mr Mahlalela. Mr W James (DA) asked whether the Minister's liaison would normally sit in on the meetings and secondly when the Members could expect their budget vote. The Committee Secretary replied that seeing as this meeting was only to elect the Chairperson, the Departmental liaison was not invited, but they will be at future meetings. The Chairperson added that the Committee had not been made aware of the date for the budget vote, but as soon as she was aware she would inform Members, so that they may prepare themselves. Mr N Matiase (EFF) said that the Chairperson's roles and responsibilities have been read out, but what about those of the Committee Members? The Chairperson replied that in future there would be time set aside to familiarise the members with the do's and don'ts for Members and that her office would request the Legacy Report of the previous Portfolio Committee on Health.